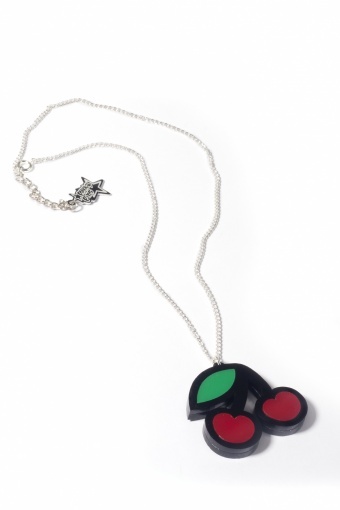 Handmade Juicy Cherries Necklace by PUNKY PINS. 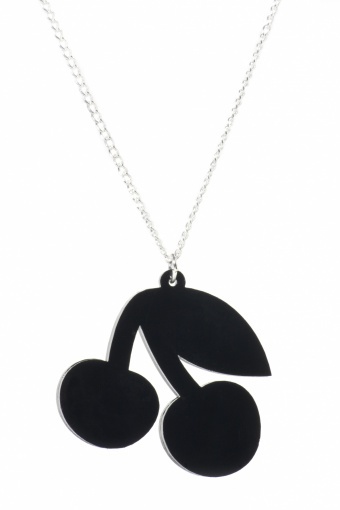 Laser cut acrylic cherries on silver plated metal chain necklace (nickel tested). Cherries are delicious, sweet and extremely healthy! 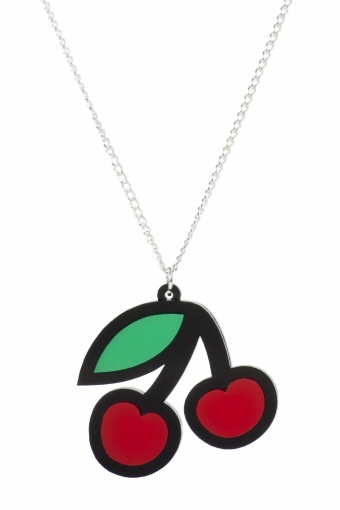 Cherries are often used in tattoos to symbolise sweetness, kindness and goodness, but are usually associated with sexuality, loss of innocence, fertility, or lust. What is your reason to choose a cherry?